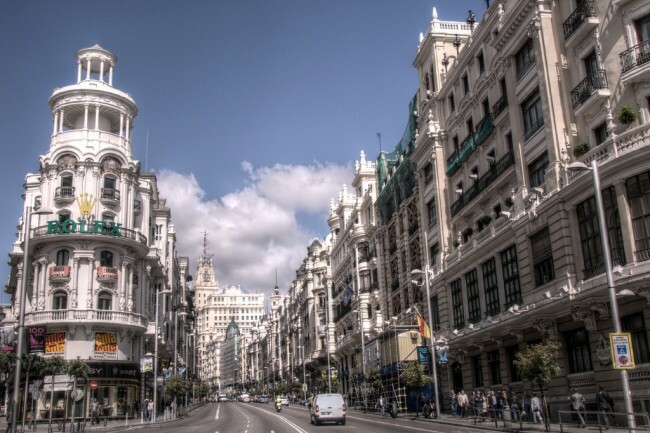 Gran Vía is one of the best streets in Madrid, full of exciting sights, beautiful churches and top-notch restaurants. Unsurprisingly its brunch options are on-par with everything else that the area has to offer. The Culture Trip guides you through the best places for brunch in Gran Vía. Situated very close to the trendy Chueca neighborhood, this café is a fantastic choice for a scrumptious breakfast and also provides an ideal base from which to explore all of the amazing sights and attractions that the Gran Vía has to offer. Inside Oita Café, travellers will discover chic décor with quirky vintage furniture, with lamps from Northern Italy and 1950s chairs from a Jesuit convent. The food is delicious, and everything is worth trying. All of the breakfast options here are simply scrumptious. From their scrambled eggs to their yoghurt, cereal and fresh fruit combo, visitors will love the exquisite dishes that are served here. The coffee and teas are also excellent, and those who want an even better experience can come again at night to enjoy one of their refreshing cocktails, after having visited some of Madrid’s best bars. A few steps from the bustling Gran Vía, Celicioso is a great café where visitors will be able to dine in the most pleasant manner imaginable. This cute and cozy café only has a few tables, so it is usually full to the brim. 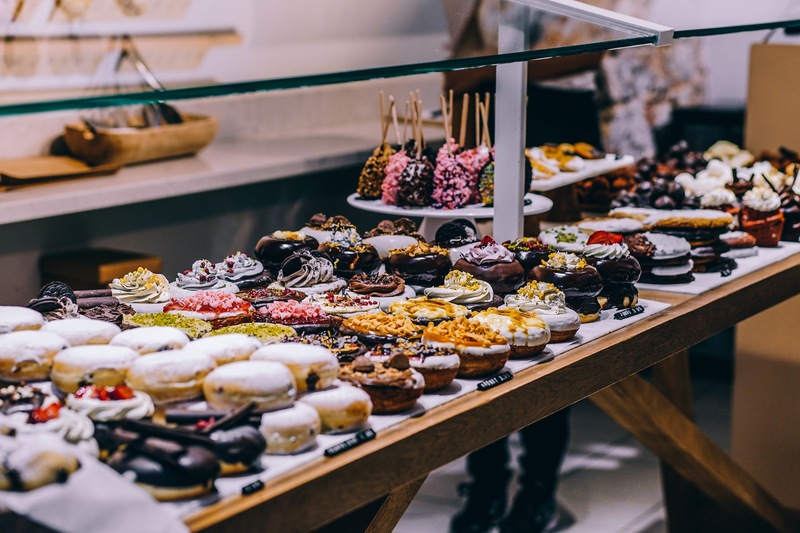 Their delicious gluten free pastries have become very popular with the locals, as they make truly excellent desserts, ranging from lush brownies and cupcakes to Key Lime Pie or a spectacular tiramisu. This quirky café is located between the fun Puerta del Sol area and the Gran Vía, and it also has an excellent brunch. Behind their excellent dining options is the motto, ‘we are what we eat’, meaning that the produce at this restaurant is of the best quality. Since it is located inside a bookstore, it is a great place to enjoy a relaxed lunch in an alternative atmosphere. Visitors can buy a book or bring their own, and enjoy some literature whilst wolfing down the café’s delicious eggs Benedict, pancakes, or a yummy Bloody Mary. Café Oliver was once located a few meters away from the start of the Gran Vía, but has since moved to Calle Maria. Visitors who come here on a Sunday will be able to enjoy their delicious brunch. From teas to fresh juices, Caesar salads and burgers, this café has typical brunch fare and some surprises of its own. Located a few minutes away from the Gran Vía, on a tranquil side street, this restaurant serves some excellent dishes throughout the day. 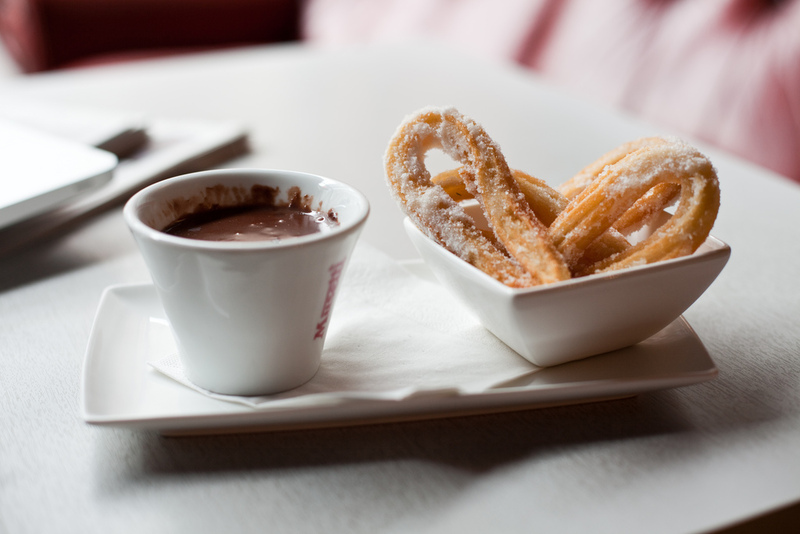 Before 1pm from Monday to Sunday, it is brunch time at El Colmao. Visitors will be able to choose one of their delicious options, such as bread, tomato and egg soufflé with olive oil, croissants, mimosas with pineapple cake, lotao rice and grilled salmon and more. The excellent service and central location make this a perfect stop for brunch. This bar’s name means ‘the Terrace of Health’ (not only because they are located on ‘Health Street’), and their recipes certainly try to make use of good ingredients. Inside, visitors will find several dining rooms decorated in different color schemes, from their green terrace and wooden bar area to their orange salon, this establishment shakes things up in an elegant way. A fresh glass of sweet orange juice and a perfectly made croissant served in this stunning setting will make anyone’s morning a thousand times better. This bakery and coffeehouse is quite a unique establishment. Although it is not the cheapest option for breakfast, the prices are very decent considering the quality of the food that they serve. A reasonably priced complete breakfast with pastries, toast, juices and coffee will give travellers all the energy they need to explore the amazing sights and restaurants in the Gran Vía area. This coffeehouse and bakery has spread all over Europe, but it is nevertheless one of the best options to go to for an early morning meal, since its quality is maintained no matter which location you visit. They use 100% organic ingredients to make their food and drinks, which is why everything tastes so good, and their brunch is one of the best in the city. Visitors will be able to enjoy freshly squeezed orange juice, yoghurt, eggs, charcuterie, pastries and bread with butter. Situated in the same building that is home to one of Madrid’s best rooftop restaurants, La Pecera is a stunning café located amongst frescoes and sculptures in Madrid’s Fine Arts building. After a tasty breakfast at this relaxing café, which might consist of a decadent hot chocolate with sweet churros or pastries with coffee, visitors will have the opportunity of going to the rooftop terrace and enjoying some of the best views of the Gran Vía in the entire city.